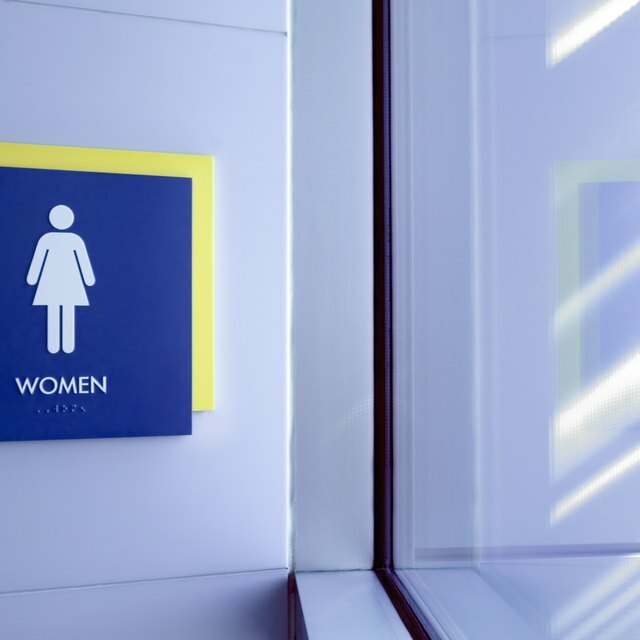 Indiana follows an amended version of the Uniform Plumbing Code (UPC) in regard to public restroom laws. It is one of the intents of the UPC to provide restroom facilities to employees, visitors and customers of all businesses. All merchants in Indiana must maintain toilet facilities for customers and visitors to use. The bathrooms need to be separated (see exceptions below) and there must be an equal number of toilets for both sexes. There must be separate restrooms for men and women. The exceptions to this rule are in a business establishment that has 10 or less people in occupation. In this case, a single restroom designed for one person is sufficient. This exception is also valid when a business has a total floor area of less than 1,500 feet. The number of public restrooms varies according to the size and type of establishment laid out in the UPC. If a building has more than 100 occupants, there needs to a public restroom separate from the facilities designated for employees. When under 100 occupants, the employee restroom may also be used as a public toilet. Vito Valentinetti has been working in the ski industry since 1999 and writing about it professionally since 2006. His work can be found online on blogs and various websites. Valentinetti holds a Bachelor of Arts in English from the University of Vermont.